3CX includes clients for smartphones and Mac or Windows laptops that allows users to use their office extension from anywhere, seamlessly integrated as if they were in the office. 3CX PBX Express is ideal for businesses that need a full functioning virtual PBX that can run in the cloud and still give complete control at a fraction of the cost of other cloud solutions or a traditional small office phone system. Ideal for a virtual office or to replace your office based system with a cloud based system that will support calling from anywhere in the world. Customers also have complete flexibility in their choice of SIP trunks and devices and have access to a wealth of productivity boosting features. These include softphone and smartphone clients for Windows, Mac, iOS and Android; Presence, chat, and integrated video conferencing as well as unlimited extensions. 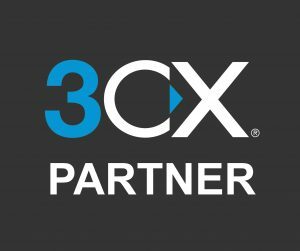 3CX is scalable and flexible and uses no proprietary components other than the software licence – their customers include Pepsi, Boeing, McDonalds, Turkish Airlines, Drayton Manor Theme Park and thousands of smaller companies worldwide. Scalable – From a small business phone system to unlimited extensions and phone lines. No proprietary expansion modules needed!